There is no shortage of divorce advice. All you have to do is mention that you are thinking of divorce and the advice-givers begin peppering you with their comments and suggestions. Suddenly it seems that everyone is an expert on divorce, and no one is shy when it comes to sharing their opinions with you. Family, friends, coworkers, teachers, clergy, hairdressers, bartenders for Pete's sake, and just about anyone else on the planet will take it upon themselves to offer you divorce advice. They may even point a finger at you and tell you what you "should" do. Be wary of the finger pointers! Stay, go, wait, get a lawyer, don't get a lawyer, give your marriage another try, see a marriage counselor, get your kids in therapy, put your kids first, take care of yourself, don't let him/her push you around, go for full custody, insist on 50-50 parenting time, get a parenting evaluation, never get a parenting evaluation, and on it goes. Yikes! How do you separate the good advice from the not-so-good advice? And even more important, how do you do this when you are already overwhelmed? Here are a few suggestions to help you separate the good from the bad and the bad from the ugly divorce advice. Your family and friends care about you. They are likely in your corner, rooting for you. For this very reason, you must be cautious about the advice that you receive from them. Chances are that it isn't going to be as neutral as you need. The last thing you and your children need is advice that will escalate an already tough situation. Seek the best help you can find and afford. Hook yourself up with a good attorney and a great therapist. Make them part of your ongoing support team. This is no time to cut corners and look for the cheapest professionals on the block. Give yourself enough time to weigh your options, interview professionals, and inform yourself about the divorce process and what you want. Resist the temptation to jump at the first suggestion anyone makes. While it may feel like a crisis that requires immediate attention, you have time. In the long run, impulsive decisions end up requiring you to back track. It is easy to get caught up in a negative spiral of anger, fear, mistrust and revenge. It's like a cloud that surrounds the divorce process. Notice which people in your circle feed the negativity and which people help you feel calmer, less chaotic and more in control. Gravitate toward the latter. Maintain the safety net that parents provide for their children, even while you are undergoing this painful process. Spend time with your kids, keep their needs foremost in your mind and see to it that your actions reflect your children's needs. Looking for more divorce advice? Check out these topics! 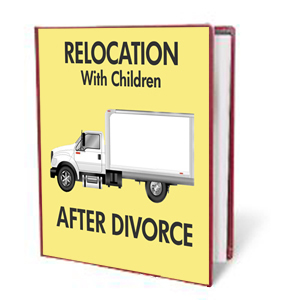 Can you move out of state with your child? Can you prevent the other parent from moving out of state with your child? These questions are tough ones to face and you need all the good information you can find. This E-Book covers every aspect of your legal rights and options. 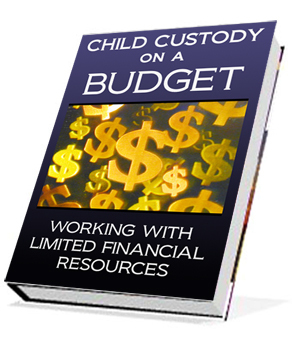 Over 1000 pages and thousands of specific budget-friendly resources that will help you in your custody case. 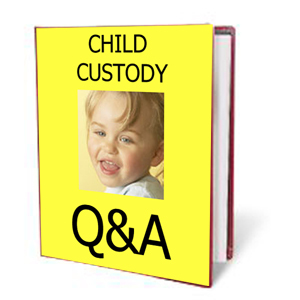 77 of the most frequently asked custody questions and full and complete expert answers. Pick as many or few as you need. This is a great resource!